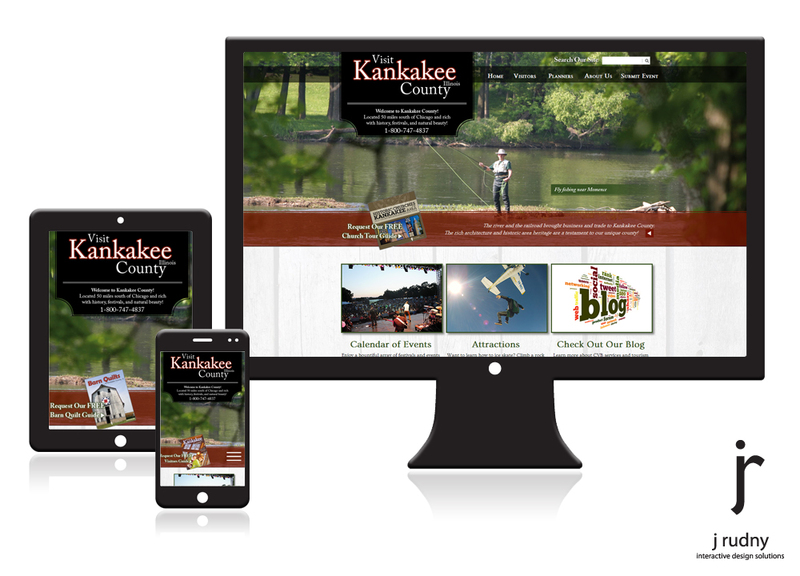 The Kankakee County Convention and Visitors Bureau promotes a vast area of communities in Northeastern Illinois. The bureau called for a custom designed website that would be compatible for all devices, provided user-friendly features for every type of traveler and connected to the bureau's existing CRM (Customer Relationship Management) software. Award: The solution received an award for "Best Tourism Website" at the 2015 Illinois Governor's Conference on Travel and Tourism.